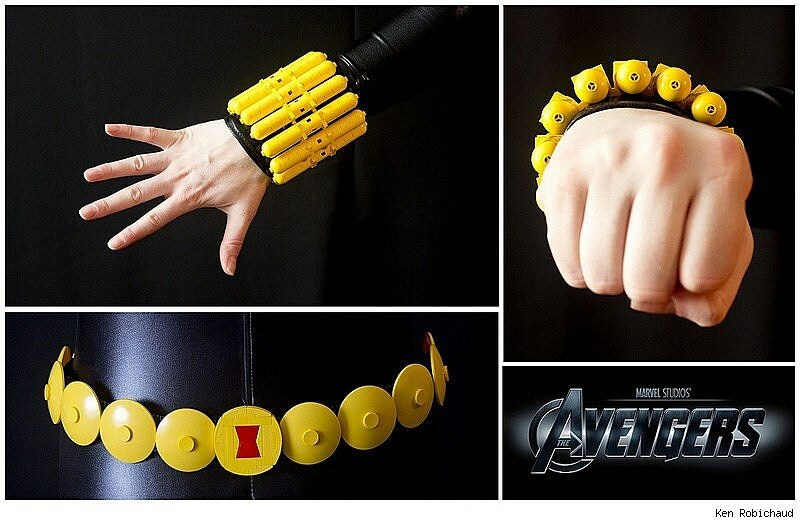 Fans of The Avengers movie have plenty of toy options this summer, but while Hasbro has released plenty of roleplay toys and Lego has a wide assortment of sets on the market, Ken Robichaud has filled the magical void left in the middle with awesome prop replicas crafted from the plastic bricks. Over at his Flickr site, Robichaud has his awesome Lego take on the team's arsenal on display. 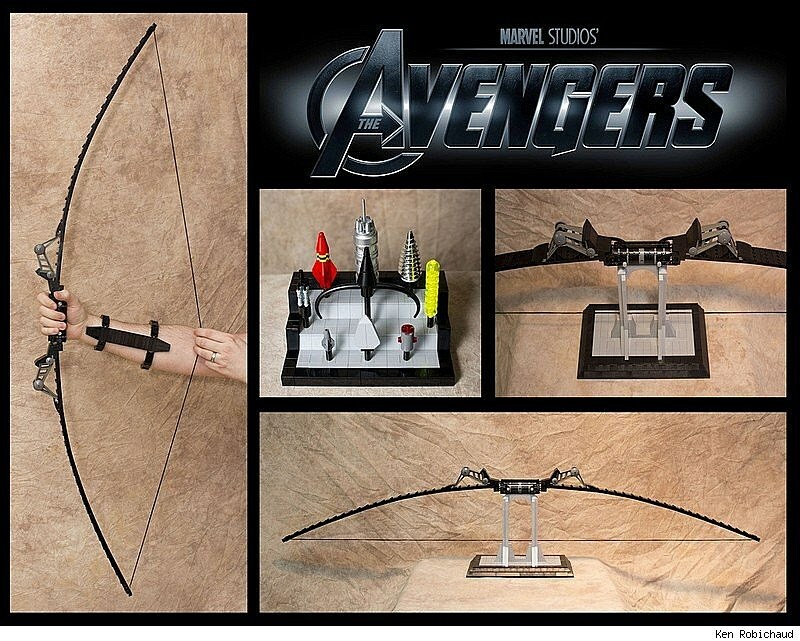 His 1:1 scale replicas of Captain America's shield, Thor's hammer Mjolnir (and wrist cuff), Black Widow's "Widow's Bite" and belt, and Hawkeye's bow, brace and trick arrows are a site to behold. 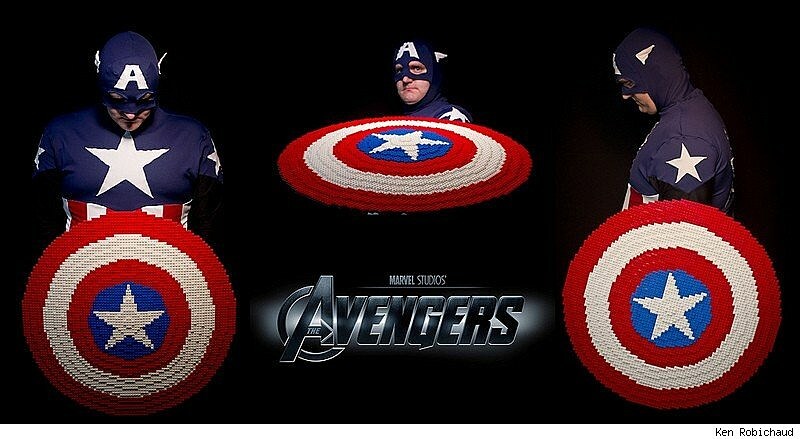 All that's left for the builder to do is construct a fully operational Iron Man suit and some Hulk hands and Nick Fury (sporting a Lego eye patch, naturally) will probably show up at his house recruiting. Given Robichaud's skills, this scenario doesn't seem as far-fetched as it probably would otherwise. 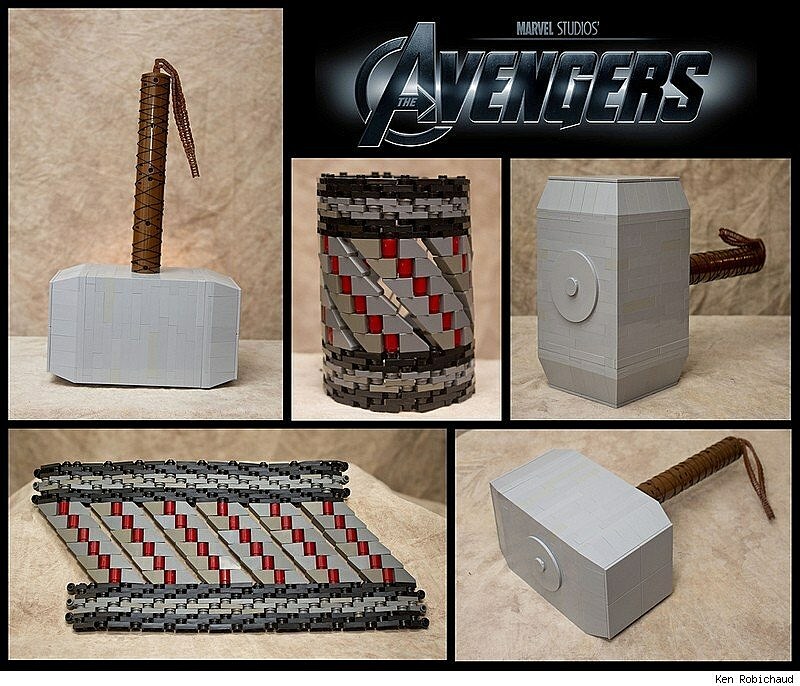 Check out a few of his Lego Avengers prop creations after the cut.